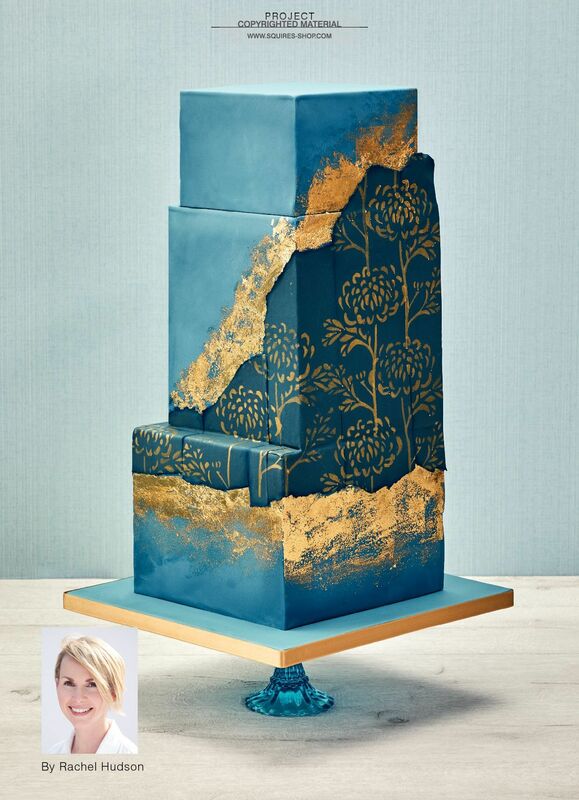 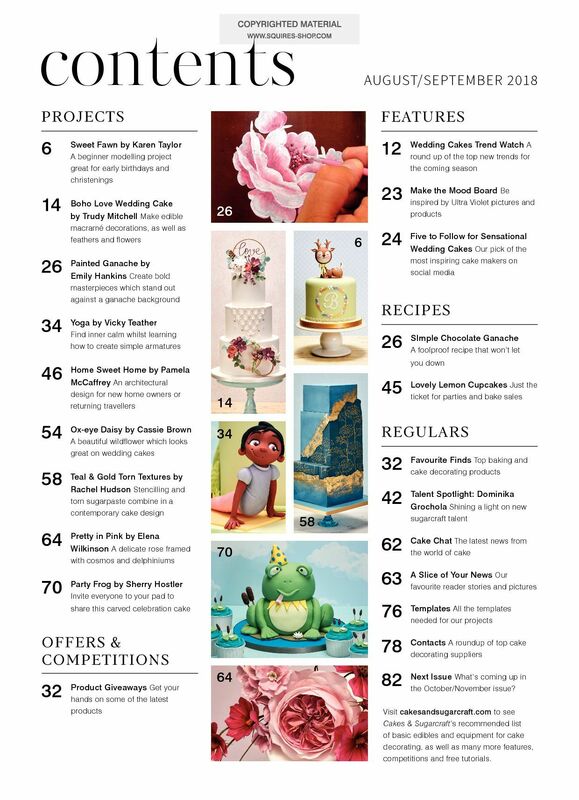 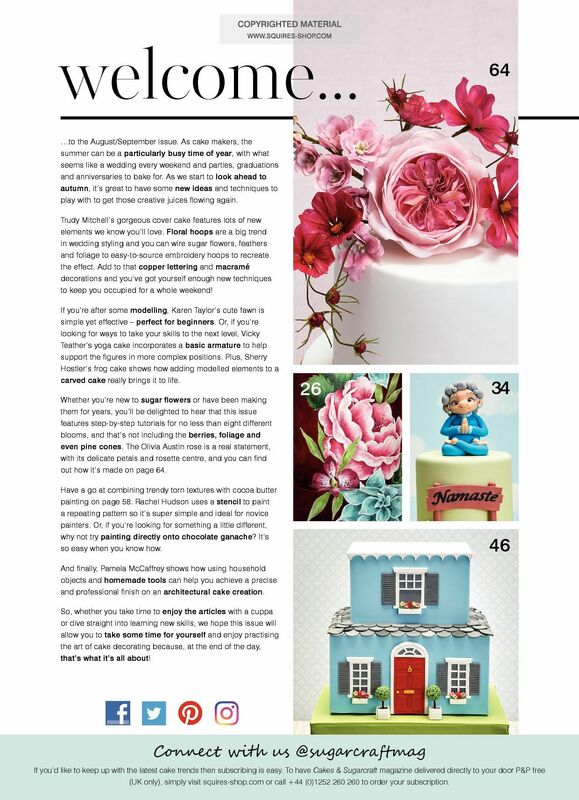 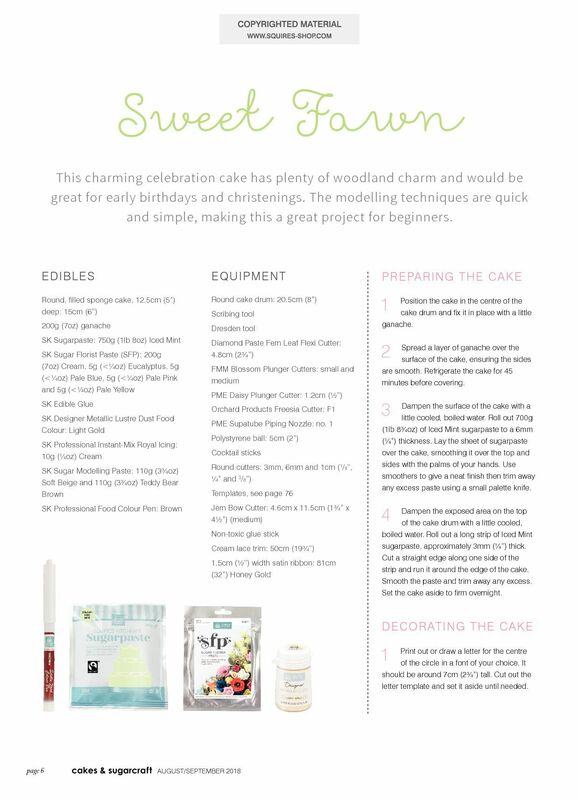 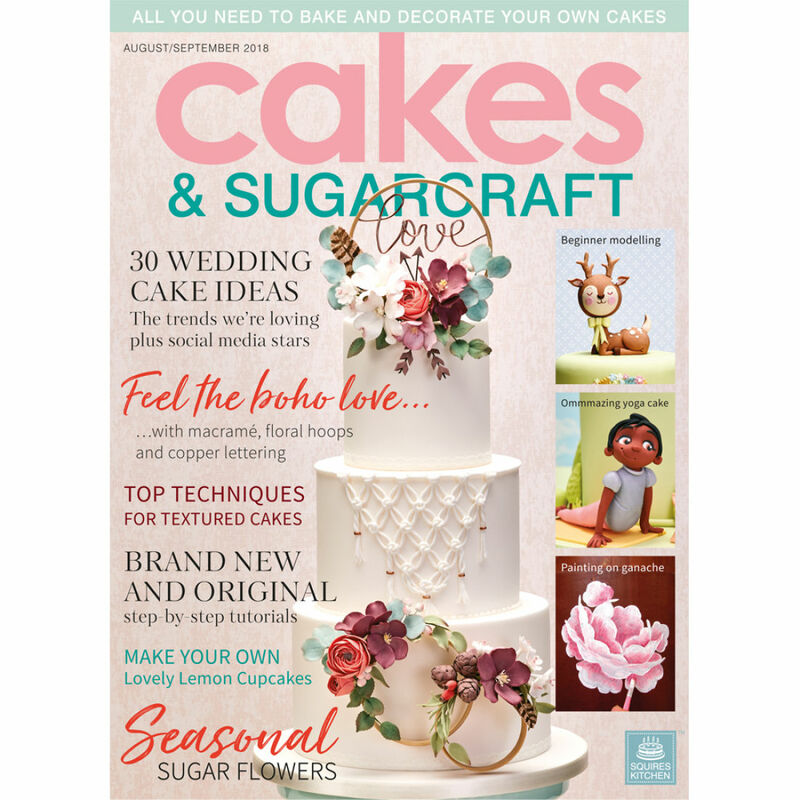 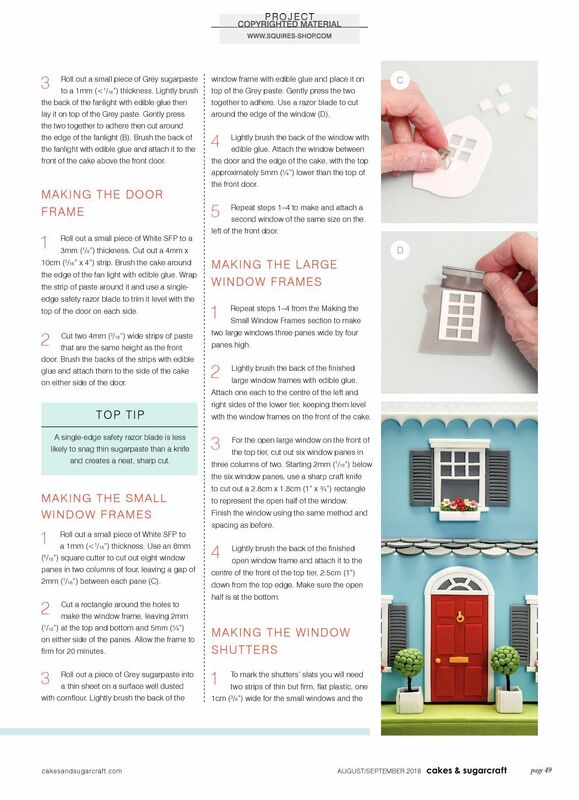 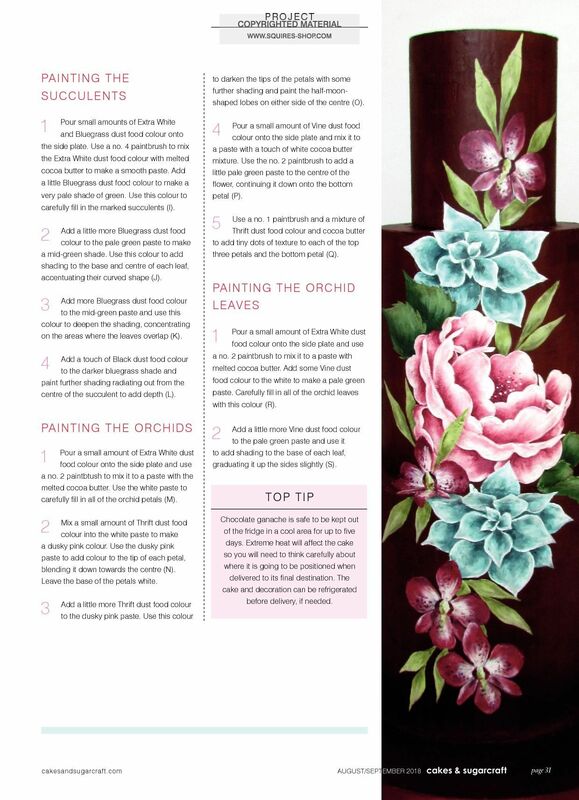 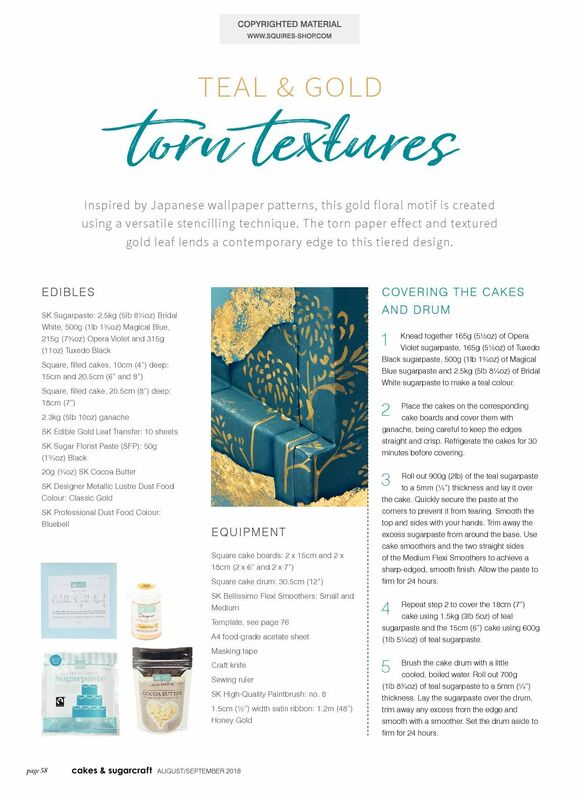 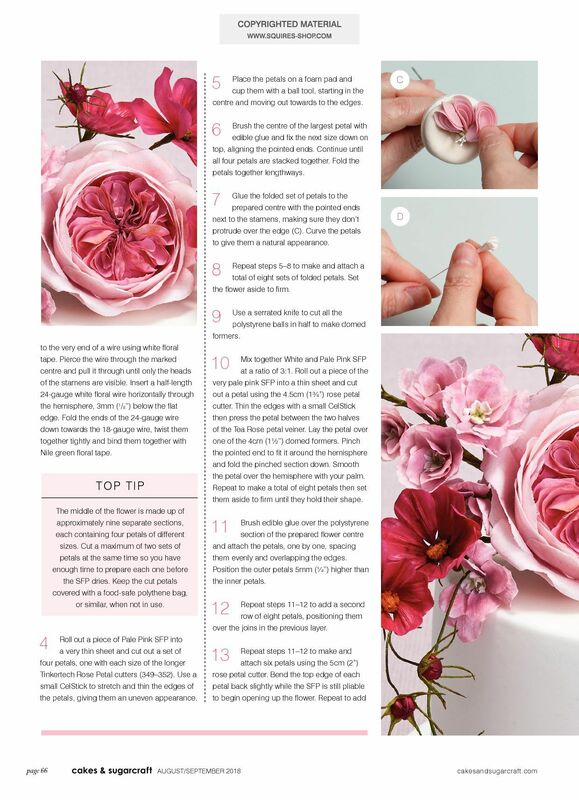 This August/September 2018 publication is the 147th issue of Cakes & Sugarcraft, an inspirational and informative magazine for anyone who enjoys making and decorating cakes. 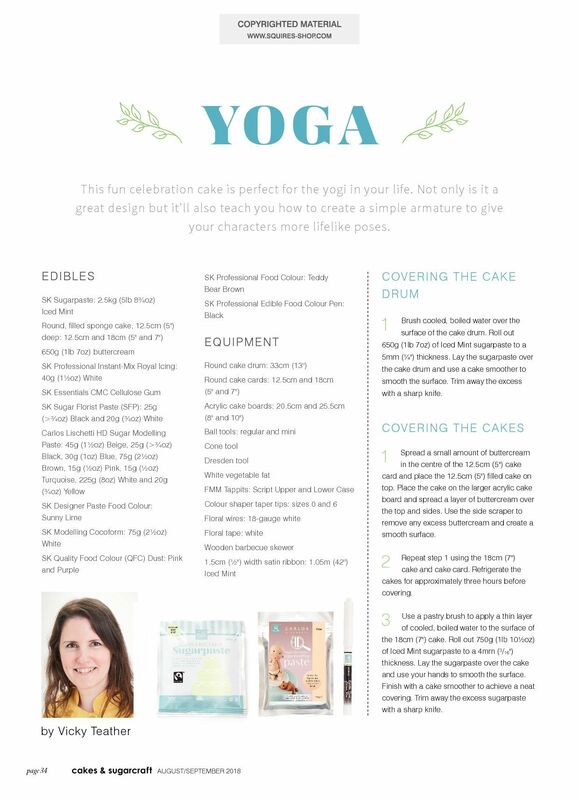 If you’re after some modelling there’s a simple fawn perfect for beginners and yoga figures incorporating basic armatures. 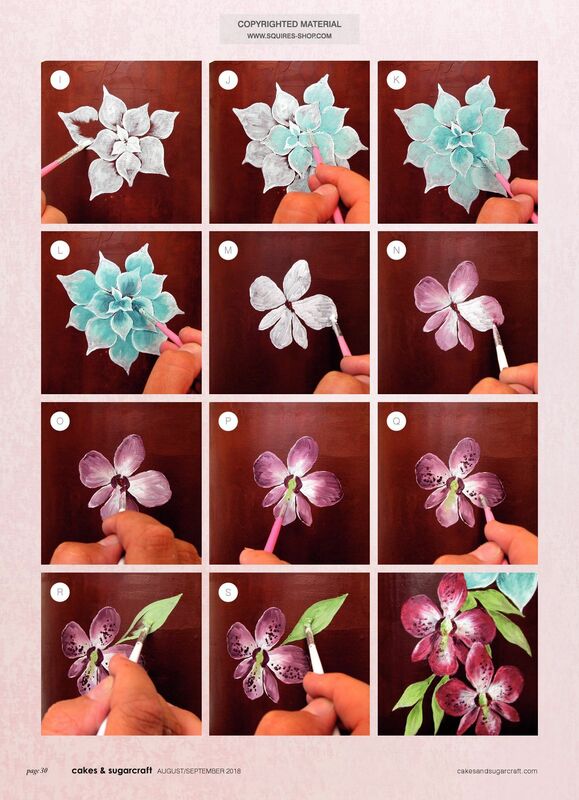 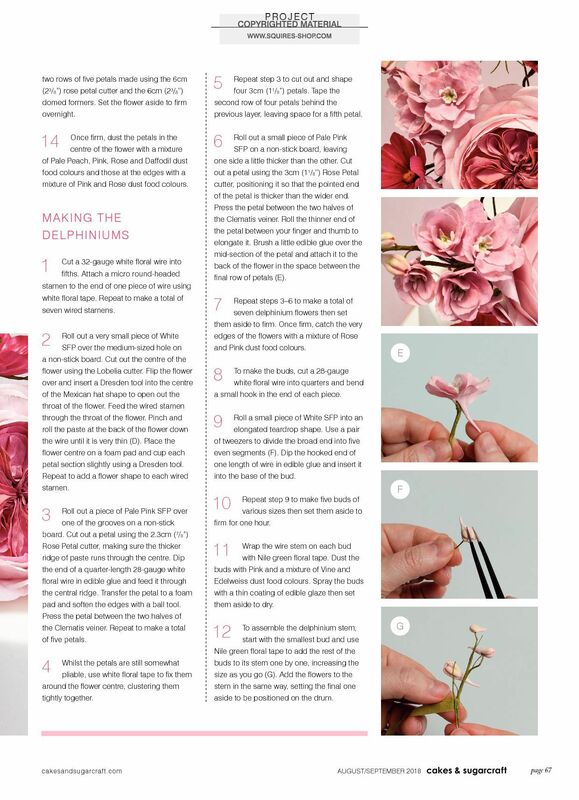 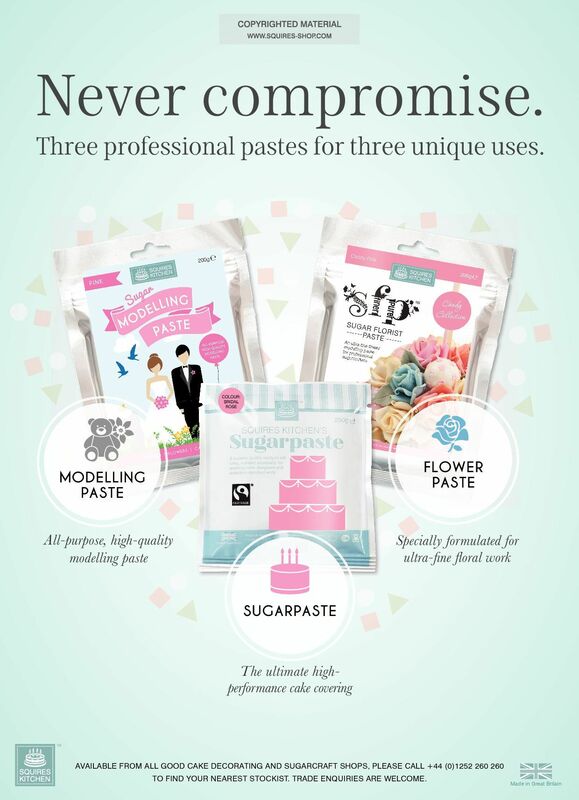 There are also a whopping eight sugar flower tutorials for all skill levels, as well as berries, foliage and even pine cones. 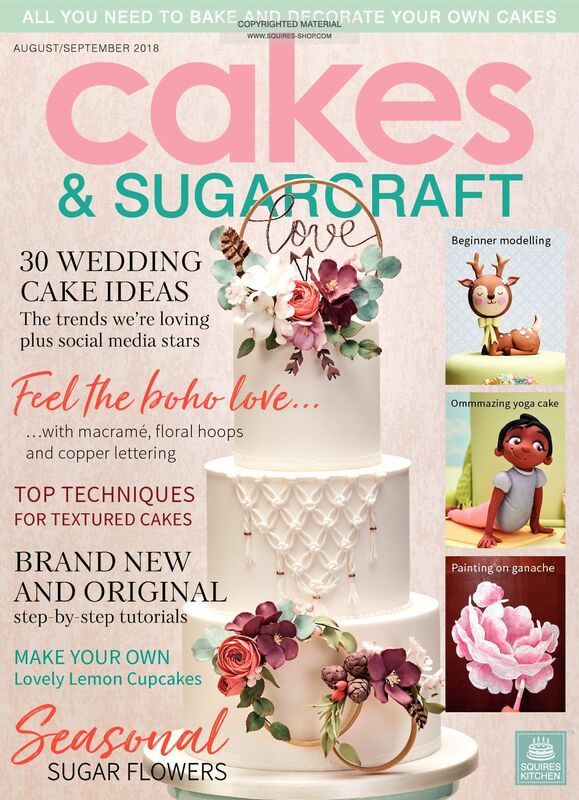 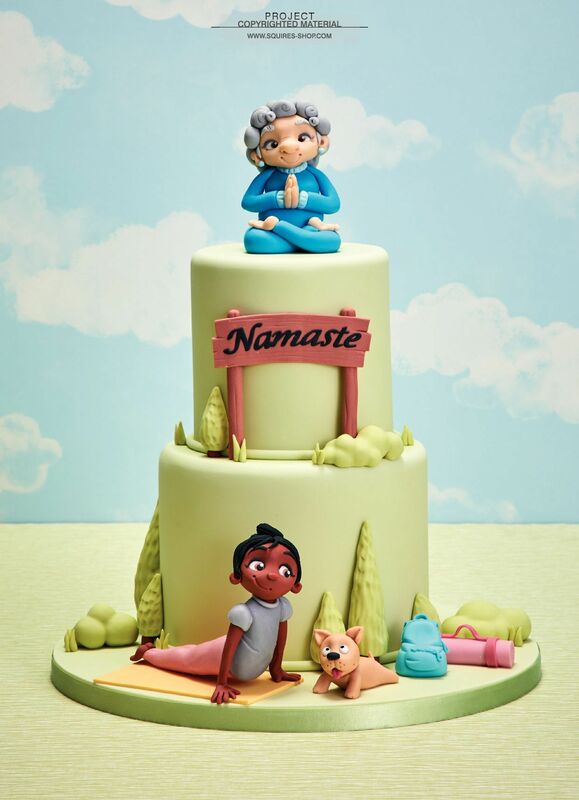 Cakes & Sugarcraft is published six times a year. 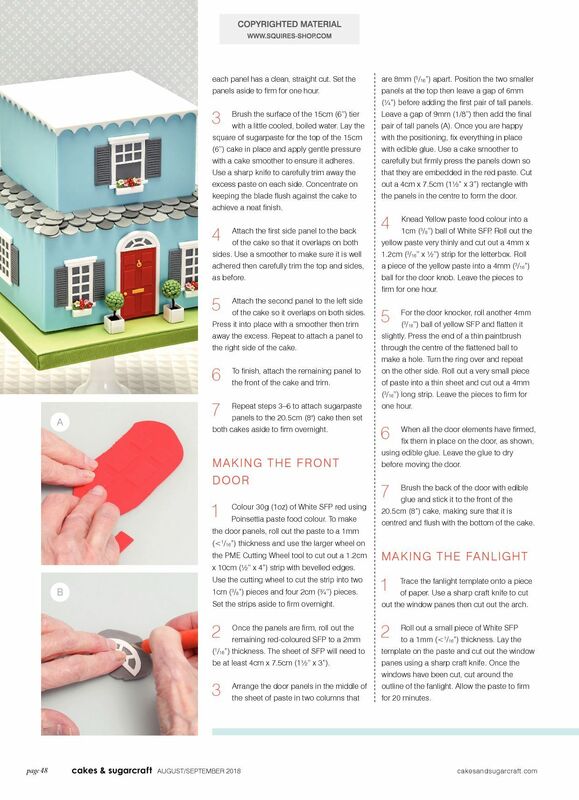 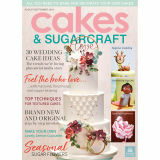 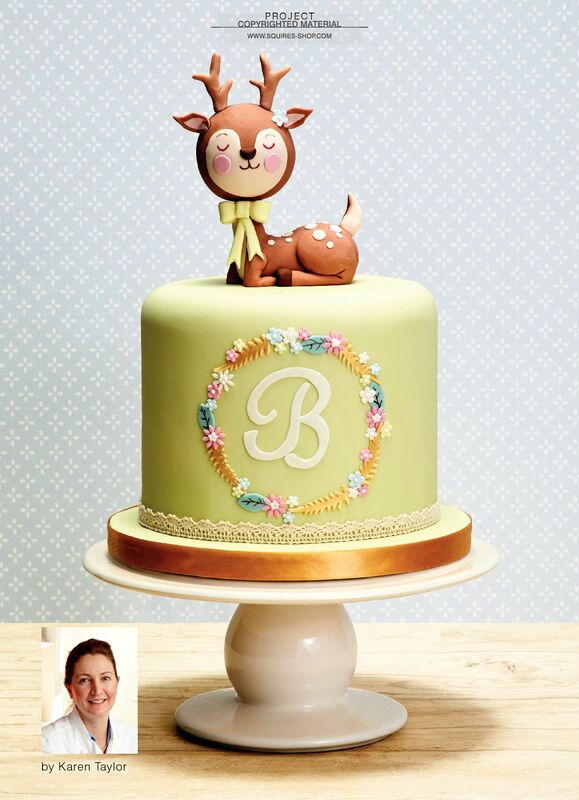 Find out more about the magazine at cakesandsugarcraft.com.